Charlie George is the Head of Financial Crimes for Wells Fargo’s Wealth & Investment (WIM) division which encompasses Wells Fargo’s retail brokerage, private banking, institutional retirement, trust and asset management lines of business. 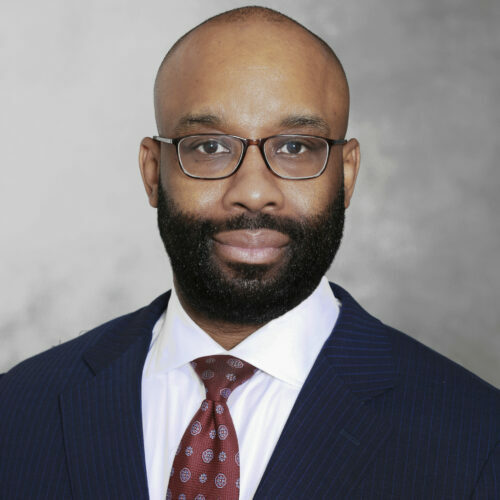 He joined Wells Fargo in 2013 as the Chief AML Officer for Wells Fargo Advisors, and has 20 years of executive management, regulatory compliance, bank examination and financial crimes mitigation experience. In his current role Charlie is responsible for the development, coordination and administration of all Bank Secrecy Act (“BSA”), USA PATRIOT Act (“USAPA”), Economic Trade Sanctions (“ETS”), Anti-Bribery & Corruption (“ABC”) and External Fraud compliance programs for the WIM division of Wells Fargo. Charlie earned his MBA in Advanced Financial Management from the University of South Florida and has attained the Certified Anti-Money Laundering Specialist (CAMS) and Certified Regulatory Compliance Manager (CRCM) designations. Charlie helped launched and served on the Board of the Richmond, VA Association of Certified Anti-Money Laundering (ACAMS) Chapter. He is a current member of Wells Fargo’s Corporate Financial Crimes Committee, the WIM Compliance & Operational Risk Committee, and the Securities Industry and Financial Markets Association’s (“SIFMA”) AML & financial crimes committee.